*AST members get a $100 discount on the examination fees. **Rate depends on method of qualifying prerequisites prior to exam i.e. Current students are $155 whereas students who graduated more than 9 months prior to writing the exam are $195. Surgical Technologist is a title given to operating room technicians, scrubs, or scrub technologist whether licensed or not, what this course is talking about is a Certified Surgical Technologist or a Tech in Surgery – Certified; the key word in all of this is certified. Even though not every state requires certification, it is beneficial in that you will be more employable, earn more money even as an new-hire and you will be prepared should the laws change and certification be required in the future. 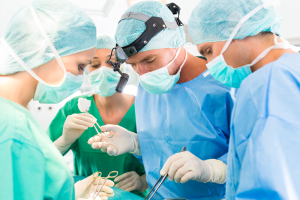 By being a certified surgical technologist, you also open more doors as far as career advancement goes. 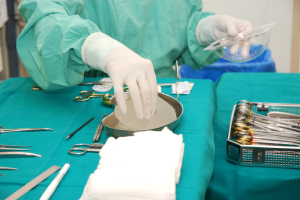 First and foremost, an ideal candidate must be comfortable around blood, knives and needles as most of a certified surgical technologist’s life is spent around these tools of the trade. Hand-eye co-ordination and dexterity are incredibly important as well since people’s lives will be, quite literally, in your hands. 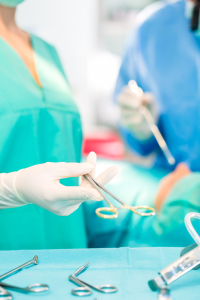 As an entry-level Certified Surgical Technologist, the jobs you will be permitted to do will be very limited compared to someone who is further in their career that have proved themselves, yet the responsibilities will increase over time. 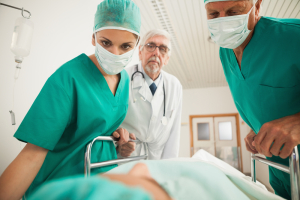 You must be comfortable answering to doctors and nurses and have your work inspected continuously. Detail orientation and perfection are very important in this career choice. What Prerequisite Courses Are Typically Required? Requirements vary from school to school however there are quite a few courses that overlap and many that would be beneficial regardless of base requirements. Medical experience (even volunteer) i.e. Doctor’s office, palliative care, etc. Specific programs have their own prerequisites dictated by their governing bodies. The two widely accepted certifications, the CST and TS-C do have different governing bodies and therefore different requirements. See below for more information. Graduates of a non-CAAHEP accredited course and on-the-job training are both eligible for an Accelerated Alternate Delivery (AAD) option to ensure all requirements for the CAAHEP are met. There are distance education courses available and once the AAD has been passed successfully, the student is then eligible to write the exam. Copy of the diploma, completion certificate or transcript must be submitted within 60 days of graduation. Tech in Surgery – Certified (NCCT) Critical Skills Competency form must be completed and submitted. Must submit a copy of the diploma, completion certificate or transcript. Copy of high school diploma or equivalent must be submitted. Must have over 6240 hours in the past five years as a Surgical Technologist with direct supervision from a Certified/Licensed Physician, Care Provider and/or RN. SMART transcript or DD214 less than ten years old must be submitted. Copy of active NCCA or ANSI accredited certification program credentials must be supplied. You must hold a foreign degree as a physician or registered nurse with United States equivalency from within the past ten years. A copy of the original degree and the evaluated equivalency must be submitted. Tech in Surgery – Certified (NCCT) Critical Skills Competency form must be completed under direct supervision of a Certified/Licensed Physician or Primary Care Provider within the U.S. within the last two years and submitted. Ten consecutive years of teaching minimum in the field of certification. Formal training program in the field of certification’s documentation must be provided. Tech in Surgery – Certified (NCCT) Critical Skills Competency form must be completed within the past two years must be submitted. 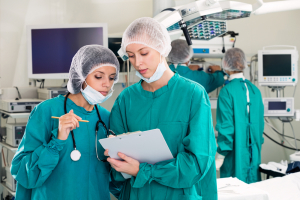 Tech in Surgery – Certified (NCCT) Experienced Instructor Reference Form must be completed by supervisor proving duration of employment and professional abilities. The Surgical Technology course is an intensive course which will teach the student in both theory and hands-on experience. What Kind Of Training Do You Learn In School? Do You Need A License, What Type? No license required through most of the US. Colorado Yes CST Surgical Technologists must be certified and registered. Washington Yes CST Surgical Technologists must be certified and registered. Are Internships Or Clinical Training Required? Internships and clinical training are essential to a surgical technician’s training to help them build confidence in themselves and the work they will be expected to do. Most schools will set up a practicum program for students to work in the field for a set number of weeks, usually with no cost to the practicum site, to enable real-world experience and exposure to experienced surgical technologists. These placements may end up with an offer of employment, however, this is not to be expected. Is this the correct career path? How are you with people in their most raw states? How are you with bodily fluids such as blood, feces and urine? Do you work well in a team as well as by yourself? Do you follow instructions well? Do you do well with minimal instruction? Are you emotionally and mentally stable? Are you able to be on your feet for your entire shift? How Long Does It Take To Become a Surgical Tech? Courses vary in length from 9 months to 24 months. During this time the student is exposed to all aspects of the job required and tested frequently. What advantages are there to taking the course? Able to work in the OR. Can progress to a career as a RN, First Surgical Assistant or even a doctor smoothly as hands-on operating experience is always an asset when looking at furthering one’s career in the health field. As you can see, there are many more career path options for those who have been through the course and have obtained certification. Does experience count for anything? Yes, there are special considerations when looking into surgical technologists who want to be certified after they have been employed in the field. Do Schools Help With Job Placement After Graduation? Some colleges will find a temporary placement in the form of a practicum which may or may not become a full-time placement. This is something to ask the recruiter of the college you are looking into. In all, a surgical technologist has nothing to lose yet everything to gain by ensuring they are well educated and certified. As more and more states require certification, massive growth in the industry and a more competitive job market, things such as certifications and further education will help you stand out from the crowd and allow you to get your foot in the door that much sooner.